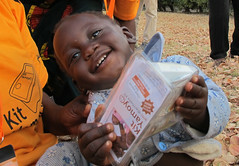 From a standing start in mid September 2012, when no one knew what a Kit Yamoyo anti-diarrhoea kit was, rural retailers in the remote parts of two districts of Zambia have bought 13,730 kits (an average of 106 per day). 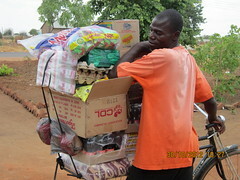 To feed this demand wholesalers have bought 20,650 and our pharmaceutical partner, Pharmanova have manufactured 29,049. Today (3/3/13) I completed an analysis of the retailer purchases in the two wholesalers serving Kalomo District and discovered that the warehouse serving these wholesalers had 1,750 kits in stock on 25 Jan 2013. 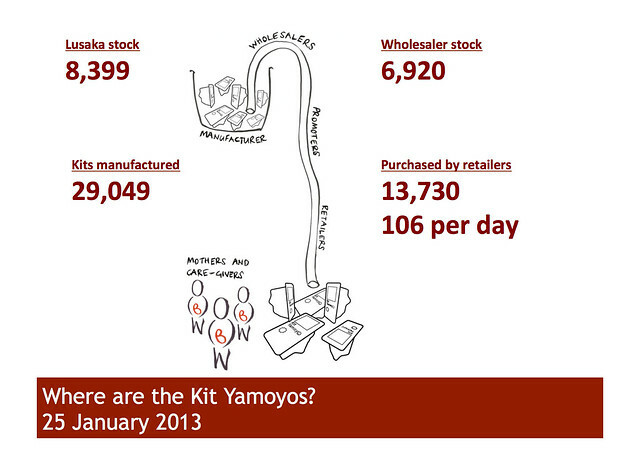 This means that sales by retailers on 25/1/13 was in fact 11,980 (13,730-1,750) which equates to 92 kits per day (not 106).